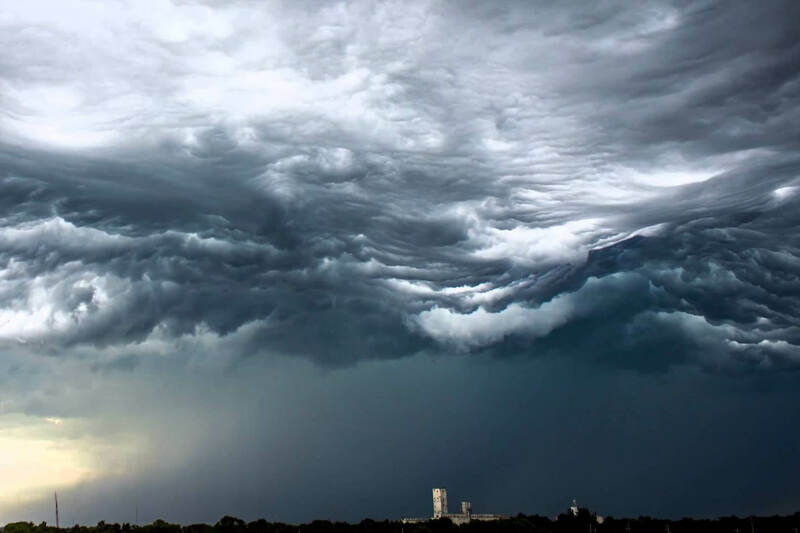 In 2014, I spoke with Gavin Pretor-Pinney, the founder of The Cloud Appreciation Society, about his quixotic mission: to get recognition for a new category of cloud called the “undulatus asperatus.” For years, individuals from across the world had been sending him pictures of the unusual formations, trying to figure out what they were. But they had no official name. Yesterday, on World Meteorological Day — nine years after the classification was first submitted — the World Meteorological Organization finally recognized Pretor-Pinney’s clouds in the updated version of the International Cloud Atlas, though the name has been tweaked to “asperitas.” They’re the first new addition to the Atlas in over half a century. Pretor-Pinney described the formations as “localized waves in the cloud base, either smooth or dappled with smaller features, sometimes descending into sharp points, as if viewing a roughened sea surface from below. Varying levels of illumination and thickness of cloud can lead to dramatic visual effects.” Asperitas clouds tend to be low-lying, and are caused by weather fronts that create undulating waves in the atmosphere. In layman’s terms the clouds look downright apocalyptic — these are the clouds you’d expect to see on Judgement Day, or in the lead-up to an alien invasion. One look at these clouds and you know something very bad is coming. Though the clouds are grim, it’s nice to see a crowdsourced project gain some recognition from the scientific community. And it’s not often we get to see something this beautiful born out of thin air.